Imagine looking up from your smartphone on an MTR platform and seeing a billboard ad with a photo of a place near your home. It might even have been the very place you walked through to get to the MTR station in the first place. 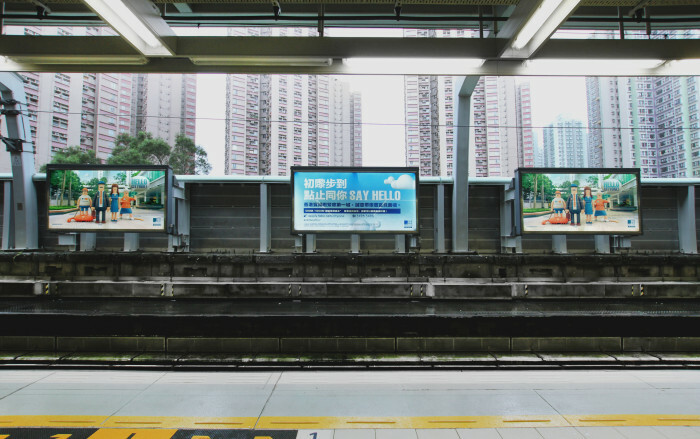 This is how a series of out-of-home ads launched by Hong Kong Broadband Network (HKBN) is taking targeted ad placement to the the next level. The ads feature photographs of scenes from two of Hong Kong’s largest private housing estates, City One Shatin and Taikoo Shing. The City One campaign promotes the fact that the company’s broadband services will cover the housing estate for the first time in the next two months, while the Taikoo Shing campaign aims to promote existing broadband services there. “For out-of-home ads, the most important thing is to keep the message simple. When residents see billboards with images of their housing estate, it feels more intimate and they will feel a sense of ownership towards the ads,” said Trevor Wong, associate director of marketing communications at HKBN. He said that incorporating visuals that residents see on a regular basis helps breed an emotional connection to the brand. 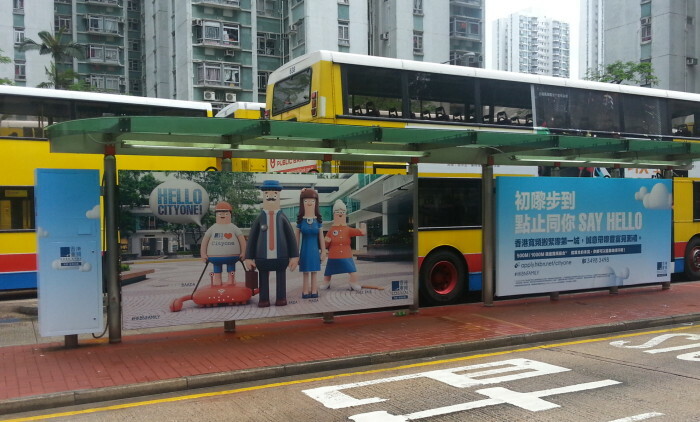 Apart from filling posters in City One and Taikoo MTR stations and running a roadshow in Taikoo station until Sunday, specific to City One are ads placed in bus billboards located along the major roads running through and on the outskirts of City One, since the housing estate is known for its congregation of multiple bus routes. The City Bus route 88R that runs daily from the housing estate to the office hot-spots of Wanchai, Admiralty and Central, was also used to refine the targeted campaign. Appealing to heritage may have a role to play in some of this pride that HKBN hopes to inspire because the City Bus’ first residential route started at City One in 1981. 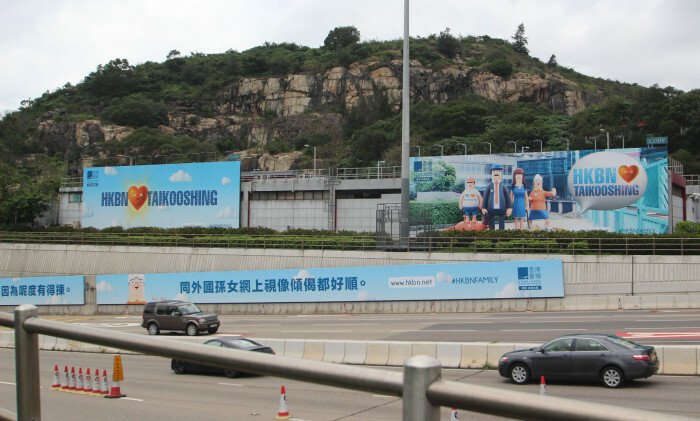 To reach out to Taikoo Shing residents, HKBN placed the Taikoo Shing ads on two enormous billboards on the Eastern Corridor, which runs between the housing estate and Central. 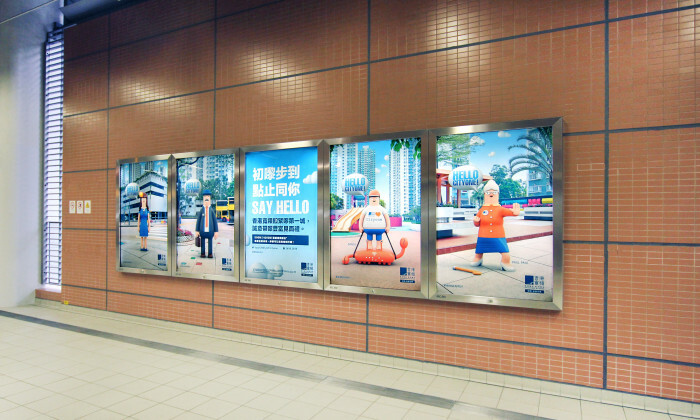 Those who commute to East Kowloon, which covers another office hot-spot Kowloon Bay, through the Eastern Harbour Crossing are not left out – the billboards on both the Taikoo and Kowloon side of the tunnel feature the Taikoo Shing ads. “Every day, when Taikoo Shing residents commute to school or work, they will see our Taikoo Shing family messages, giving our ads maximum visibility,” said Wong. But it isn’t real people who inhabit the photographs. Instead, a family of cartoon characters stand chirpily in the foreground of each ad. 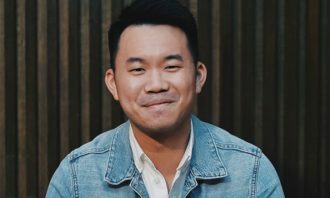 The family is made up of a mother, father, son and grandma – nicknamed “Mada”, “Fada”, “Baada” and “Paul Paul” respectively to reflect the Cantonese pronunciations of the family roles, with Boris the hamster as the final addition to the family. The cartoon characters have been used in the ads to explain why each individual character might need broadband Internet. For example, the long, horizontal billboards outside Eastern Harbour Crossing on the Kowloon side show Paul Paul talking about how broadband Internet makes it easier for her to Skype with her granddaughter abroad. 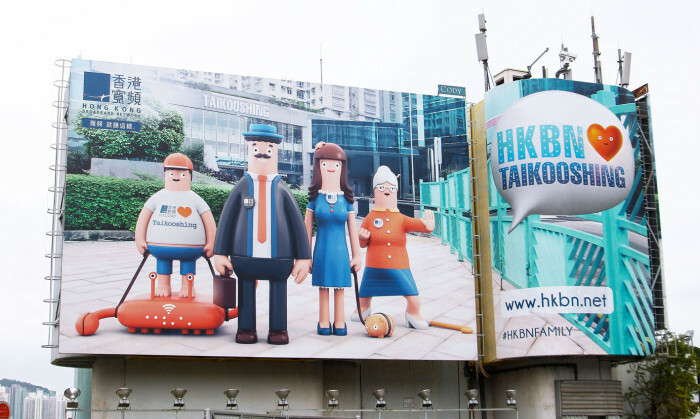 This is the first time the cartoon characters have been used in HKBN ads and Wong says the company will continue using the characters as brand motifs in future campaigns targeting other housing estates. The focus on families comes as no surprise since many of City One Shatin and Taikoo Shing’s residents are middle class families – couples who have one or two children and who may live with their elderly parents. Wong says that HKBN doesn’t just want to target the middle class and sees the entire Hong Kong market as fair game. 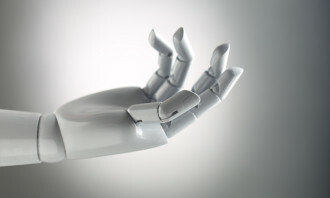 In the future, the company will target specific housing estates from public housing to luxury apartments. “No matter what your household income, broadband is becoming essential. 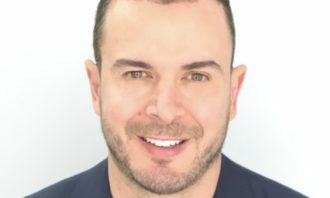 We are not just targeting the middle class – it’s simply coincidence that we started with a campaign for Taikoo Shing and City One,” he said. The City One-Taikoo Shing campaign will run for the rest of this year. To strengthen the campaign, brochures detailing the different needs of each character will be sent by mail to City One and Taikoo Shing residents to support the campaign. 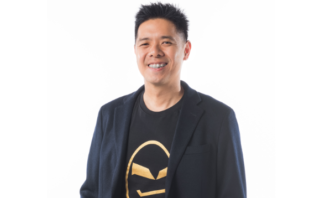 Kenny Hau has been appointed as advertising strategic partnership and development director, SEA. ..